Lisa received her BFA in Illustration from Northern Illinois University in 1987 and began her professional career as an Illustrator/Graphic Designer at a studio in a suburb of Chicago. In 1988 she accepted a position at WISN-TV(ABC) in Milwaukee, Wisconsin as a Graphic Designer creating still and motion graphics. She relocated to Philadelphia in 1990 and joined WCAU-TV (CBS) as Senior Graphic Designer. At WCAU-TV, she executed creative solutions for all on-air and off-air needs including news, promotional and programming. In January of 1994 Lisa was selected as one of ten Graphic Designers from around the world to work on location at the 1994 Olympic Games in Lillehammer, Norway. Lisa won a 1994 National Emmy for her work on the technical team remote for the Lillehammer games. Lisa co-founded Power Design, a creative solutions studio, in May of 1994 with her business partner and now husband, Steven Delaney. Power Design boasts an ever growing, established A-list of clients from ABC/Disney, GlaxoSmithKline and Comedy Central to the University of Pennsylvania. The studio and its work has been garnered with over 75 industry awards as well as being featured in many print publications and media organizations including HOW, PRINT, USA Today, FOX, ABC, and NBC. Lisa has been a guest speaker at the PROMAX/BDA International Annual Conference in Chicago, Illinois and at the CTAM Conference in Orlando, Florida. Both sessions addressed the topic of the Internet. Lisa was selected as one of “30 Under 30” people to watch in the Philadelphia area in the March 1995 issue of Philadelphia Magazine and was selected as one of Philadelphia’s “40 Under 40” young business leaders by the Philadelphia Business Journal in February 1995. Lisa has served as a member of PROMAX and CTAM Professional Organizations. She served on the Board of Directors of the Art Directors’ Club of Philadelphia 1994-1996. Lisa has served as a judge for the 1999 and 2002 PROMAX Awards, on the 2000 PROMAX Awards Committee, and Co-Chairperson for the 2001 and 2002 PROMAX Awards. In 2016 Lisa was invited to speak on a panel at the Annual NAMWOLF (National Association of Minority & Women Owned Law Firms) Conference in Houston on the topic of Marketing Best Practices for Law Firm Websites. Lisa has volunteered on the Missions Committee at both Calvary Chapel Delaware County and Wayne United Methodist Church. She has led two volunteer groups to International Justice Mission’s headquarters in Washington, DC. Lisa has also lead a church team to Costa Rica in partnership with Costa Rica Missions Projects. She has travelled to Kenya in 2015 on a mission trip which included participation in a Women’s Conference. 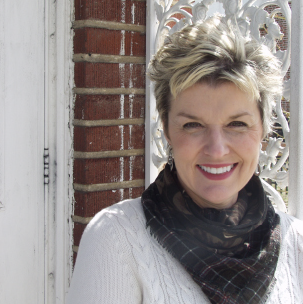 Lisa served on the Executive Committee for Friends of the Arts at Delaware County Christian School for two years. She was responsible for assisting in developing the strategy and vision for the new organization. Lisa also implemented the social media strategy and executed the marketing for various fundraising events. Lisa is currently serving on the Board of Directors as Vice President for Walk Her Home. This non-profit’s mission is to create awareness and raise funds for organizations that provide support and housing for victims of human trafficking and sexual exploitation in the United States.